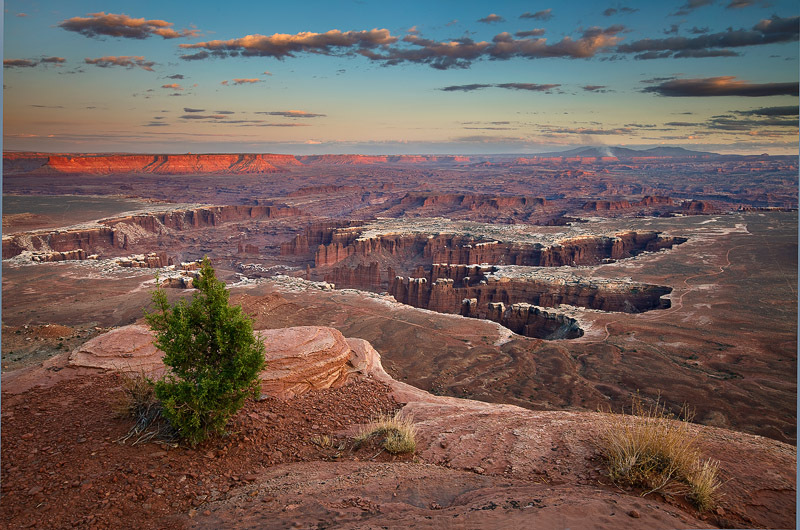 A solitaire, green bush overlooks the subtle palettes of sunset near Grand View Point in Canyonlands NP, Ut. A fire beckons in the background as the last rays of light accentuante some of the colorful mesas in the Colorado Plateau. The road you see on the right hand side of the image is called the White Rim Road. It is a 100 miles in length and traces its course around the canyonlands. It takes most folks three days to drive it. Photo © copyright by Michael Greene.